In the D Home/Texas Paint & Wallpaper Life in Color contest, hue's the boss. The Early Riser: Samantha Fisher. “The client is a lovely person with a calm spirit,” Samantha Fisher says. She wanted to create a space that complemented that sense of peace. The color palette was inspired by the Kerry Joyce fabric used on the pillows. The Bold One: Kim Armstrong. 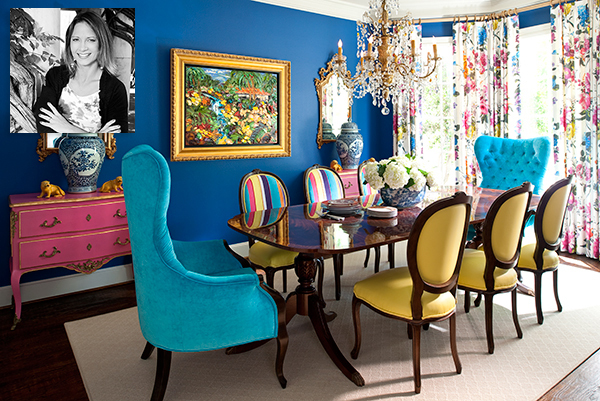 Kim Armstrong says the inspiration for the dining room began with her client’s painting. “We love color. We love bold patterns. This is a combination of both,” she says.